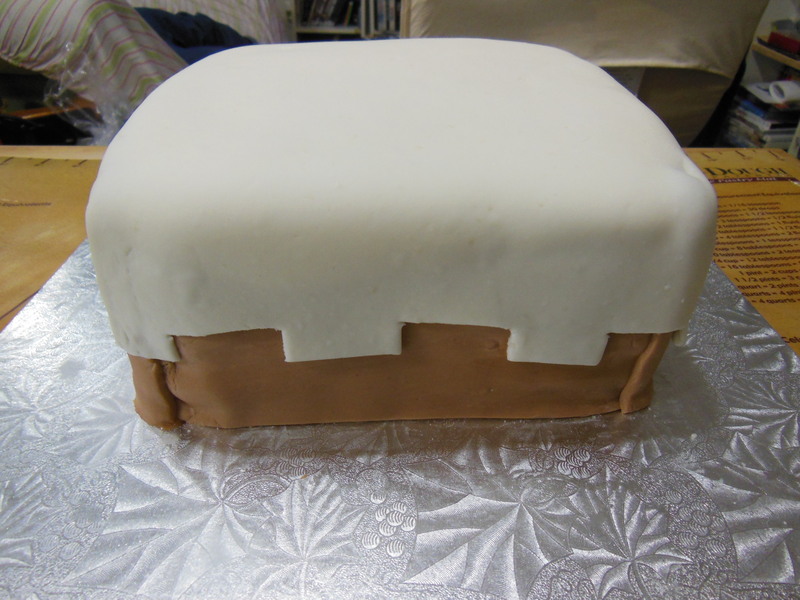 This Minecraft requires two 8″x8″ square pans, a vanilla cake recipe (or chocolate but I used vanilla), 500 mL heavy cream, 1 package of instant vanilla pudding, 2 batches of marshmallow fondant (one batch tinted light brown, the other white), one batch of buttercream frosting (enough to coat the cake… it’ll be covered in fondant), some red and brown pearl dust and a little bit of vodka for painting. If you have gray petal dust for a little bit of detailing and shading, have at it! Bake your cakes in the two pans and cool completely. 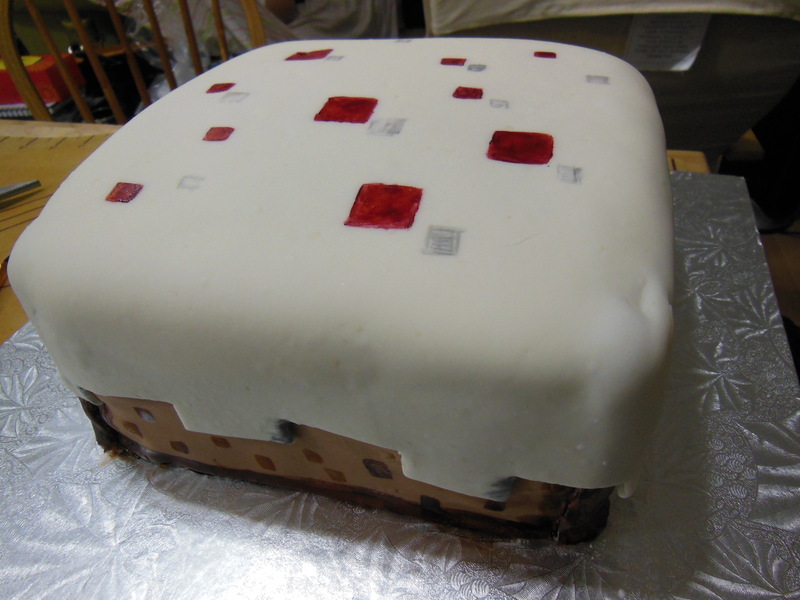 Cut each cake horizontally so you have four layers to build your Minecraft cake. Feel free to level off the top of those cakes. 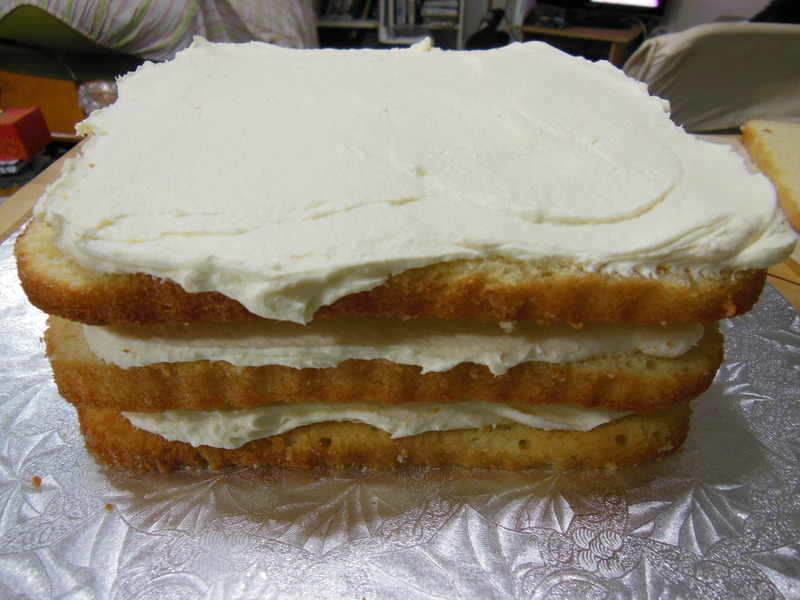 When stacking my layers, I prefer not using icing in between but a thicker vanilla cream filling I make from instant pudding and heavy cream. Whip up the heavy cream and pudding until it’s thick. It’ll give the cake some height as well. Now, make your buttercream and set aside while you make your fondant. This will be used to help make the fondant stick to the cake. 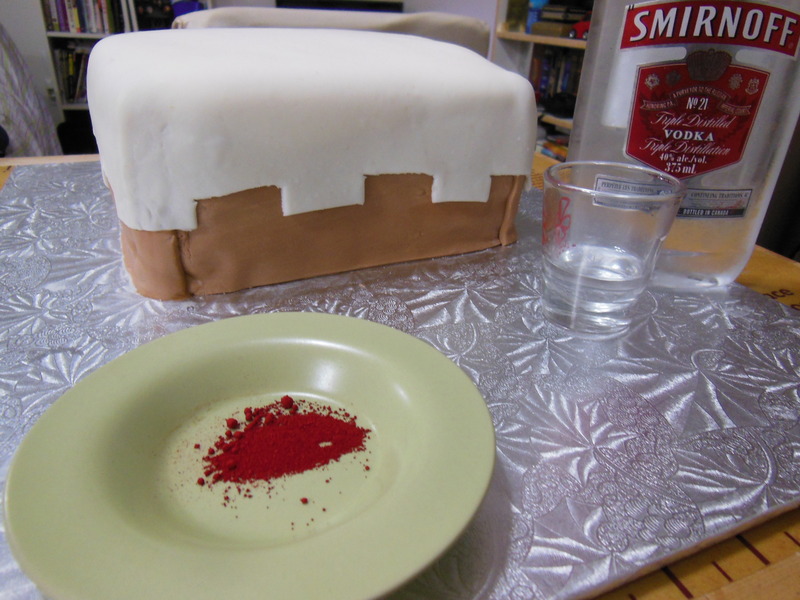 It also tastes better than fondant (though the marshmallow fondant is quite yummy). Roll out your brown fondant and cut it so you have four rectangles that will cover the sides. Also cut yourself some thin strips to cover up those messy corners. Brush water on to make them stick. 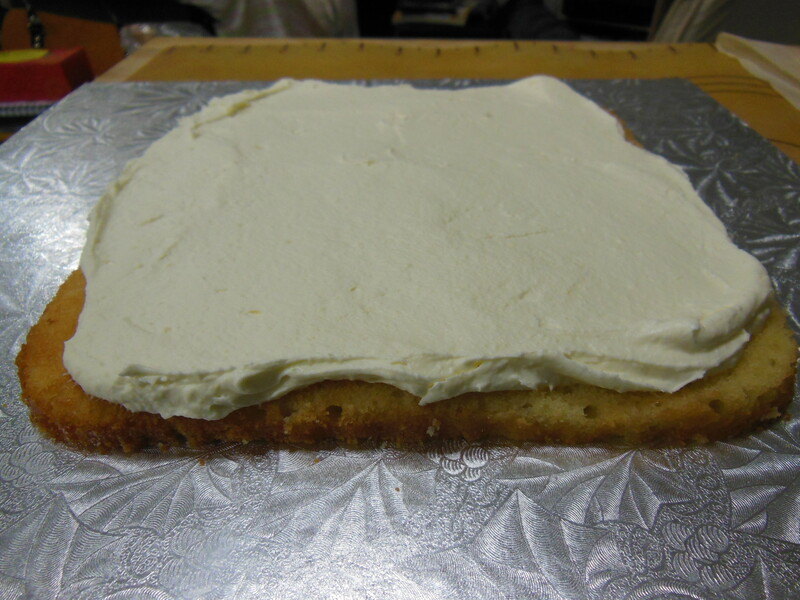 Roll out the white fondant into a big square that will fit the top of the cake as well as drape over the edge (maybe an extra 2″ on each side). 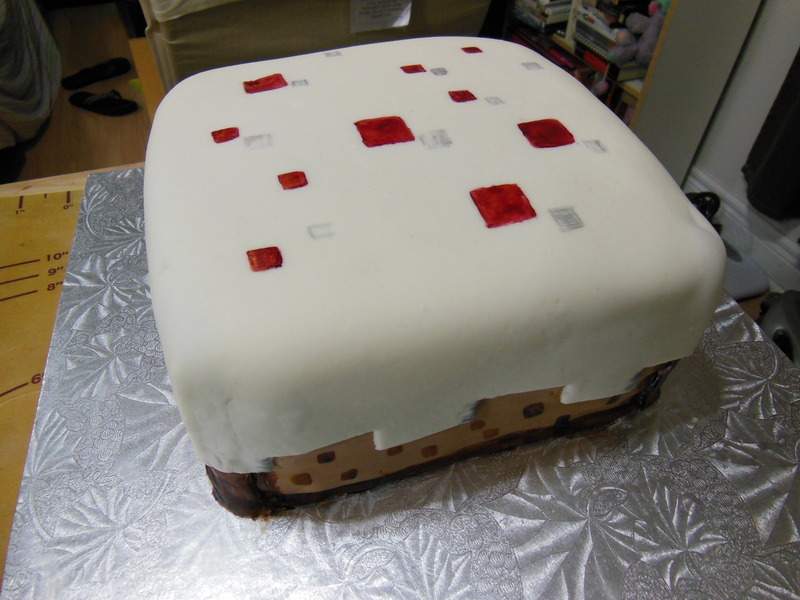 Be careful as you cut your pixelly “frosting” edge. Use just a little vodka on your brush to paint your “pixels”. Red squares on the top and a slightly darker brown on the sides.